I started reading Facebook for Small Business Owners by Tom Corson-Knowles and was prepared for it to be spammy or poorly written because it's self-published and frankly many vanity press (i.e. self published) books on business are garbage. I was pleasantly surprised to find it is a well written, concise, and informative step by step guide to ethical practices for getting a small business started on Facebook with Fan Pages and advertising. 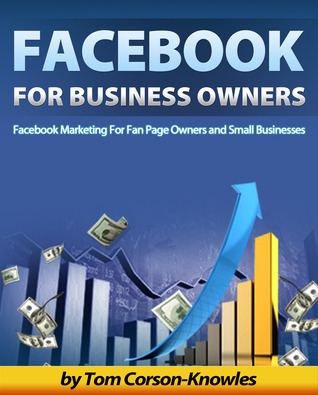 This is definitely an introductory level book and won't be of much use to small business owners with advanced social media skills, but for the target market (small business owners new to facebook) it will prove quite useful. Sign into Goodreads to see if any of your friends have read Facebook For Business Owners.